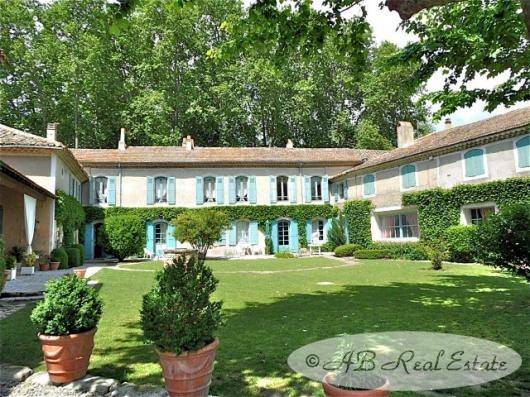 of 1080m² living space with 7 apartments and 400m² outbuildings on 5.5 ha grounds, pool, covered tennis court, a few minutes from all amenities and with easy access to the motorway. Ideal business opportunity. Located in the heart of a tourism region and easy to reach, this beautiful large country house is indeed a good opportunity to establish your business for holiday accommodation, receptions or events.